As the CEO, you’re the futurist of your business, and the product of a futurist’s work is foresight. Extreme curiosity: This isn’t first by accident. Curiosity is to foresight what oxygen is to life. Orders of implication: Futurists imagine the impact of multiple possibilities from a single scenario that hasn’t happened yet. Collaboration: Futurists study the work of other futurists, work together, and welcome peer reviews. 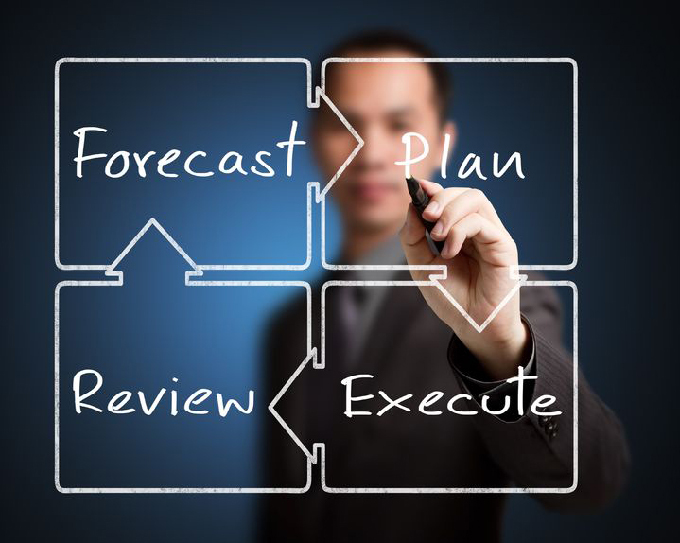 Foresight tools: Some resources are sophisticated, some not so much. Curiosity: The only person who’s more curious than a futurist is an entrepreneur. Curiosity is your most powerful tool-unleash it. Watch for implications: When you see something new – a thing, idea or a development – unfocus your eyes and imagine the short and long-term implications. Play the “what if” game with your team. Read: Professional futurists call it scanning. Read everything you can get your hands on about your universe and your customers’ universes. Start connecting dots. Pay attention: This is the first cousin of curiosity. You pay attention to your business every day. Now add what’s outside your four walls to your scan. Experience: Never underestimate the foresight value of past successes and failures, especially to the implications element. Peer relationships: This includes CEO roundtables, whether formal or informal, but also attending industry events to listen to and compare notes with other CEO futurists. Intuition: This is the love child of experience and curiosity. You have intuition, plus experts say you can grow it. Intuition is educated by experience and employed by curiosity. These CEO foresight tools will help you track trends for opportunities and disruptions in areas such as: demographics, customer behavior, society, production/supply, politics, technology, and global events impacting large customers. With tomorrow, next year and the next decade in mind, use questions like these to include your stakeholders in the foresight process: What will my industry look like? What will my market look like? What will happen to my existing customers? What will my new customer profile look like? What will be their expectations? What kinds of products and services should we sell? How will we capitalize growth? What kind of technology will I need? What will be the greatest opportunities? What will be the greatest disruptions? Use the tools, ask the questions, uncover and prepare for the possibilities that will allow you to take advantage of opportunities and minimize disruptions. Leading change as the CEO means applying the foresight tools of a futurist in order to avoid surprises. All surprises. Even if a surprise turns out okay, you still shouldn’t celebrate. In fact, you should be just as frightened as if it turned out badly. Because it got through your foresight filters unnoticed until it manifested in front of you. That means a bad surprise could do the same thing. Remember Blasingame’s Law of Surprises: Surprises are for birthdays — this is business. Small business owners have to deal with two universes every day: the Marketplace, and what I call, the Diaper Changing Stuff (DCS). The Marketplace is the fun place, where you buy and sell stuff. Playing in the backyard of this universe is why you became a business owner in the first place. And the good news is, most entrepreneurs are pretty good at the rules and expectations of this universe before they start their business. The DCS represents mostly backroom, operating tasks (read: not much fun) that have to be done in order to present the business and its products to the Marketplace – accounting, cash management, banking, capital allocation, payroll, regulations – you get the picture. 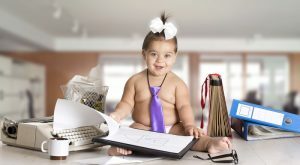 Just as no one has a baby because they like changing diapers, no one ever went into business because they’re passionate about inventory management or accounts payable. And yet, those tasks are as critical as the fun ones. If you’re thinking of starting a business, don’t do it until you’ve compared my quick DCS checklist to your abilities. If you’re a business veteran, road test your DCS skills against this list to see where you might need improvement. Do you know the difference between cash and accounting? Gain this understanding before you hock the house to start your business, because it’s the most imperative financial dynamic you’ll face every day. In fact, it’s the number one business issue that will wake you up at 2am. Remember, you can’t make payroll with a debit or a credit. Do you know how to properly allocate operating and non-operating capital? Don’t use operating cash to buy long-term assets, or borrow money to operate on. Create a capital source and allocation strategy before you crank up your corporation. Do you know how to talk banker? If you need a loan, can you explain what you’re going to accomplish with the money, AND how you’re going to pay the bank back? If you make a loan request without this information, you’ll just burn a banking bridge. Bankers are easily frightened, and no one ever got a loan from a scared banker. Do you understand the relationship between Accounts Receivable Days and Accounts Payable Days? If you extend credit to customers, you have to fund those accounts until they’re received, which is usually later than when you have to pay vendors. If you’re not tracking this relationship, you could literally succeed yourself out of business. And the first indication you’re in jeopardy will be a call from your banker telling you to make a deposit, or a vendor putting you on C.O.D. Sometimes these calls come in at the same time. Do you know the difference between Quality Service (QS) and Quality Process (QP)? QS is always making the customer happy, no matter how many times it takes to get it right. QP means getting it right the first time. QS is an expense you have to pay for over and over. Having a QP is an investment in excellence that stops the bleeding and moves customers from complaining to placing new orders and referring you to their friends. Bonus question: Can you operate the business you had the entrepreneurial vision to create? Not everyone can. Don’t start your business unless you’re ready to change the diapers on your baby. 3. Information (intellectual property, or IP). But here’s the interesting part: As the marketplace has evolved, the order of importance and the value of assets has inverted. 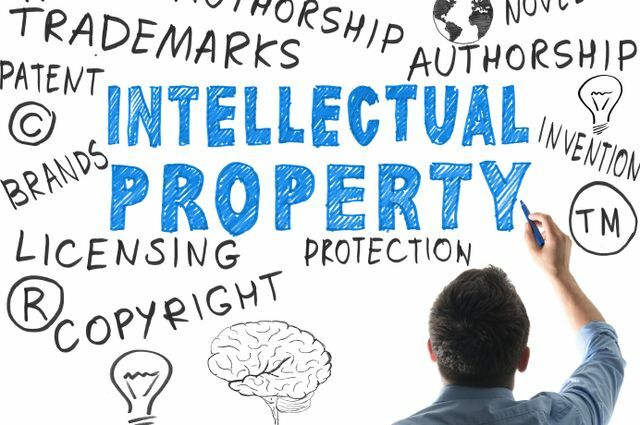 Studies show increasing emphasis is being placed on IP and the ability to leverage it with less emphasis on leveraging tangible assets. And what about muscles? Increasingly in the global marketplace, human brawn is number four on a list of three. The good news is small businesses are joining this global trend of leveraging IP more and tangible assets less. They’re increasingly using technology in exciting new ways, doing more virtual business and are as likely to develop a strategy for doing business across an ocean today as they did across town 20 years ago. Regarding how essential IP is to a small business’s 21st century competitiveness, more and more small businesses get it. The bad news is there still are far too many who don’t. As an example, incredibly, almost half of small businesses still don’t even have a website. 1. If I gave you for free (a) a truckload of inventory or (b) a special technology that would help you serve customers better, which would you choose? 2. Do you spend more time (a) thinking about products and services or (b) finding technology to more effectively serve new customer expectations? 3. Do your employees (a) use the same technology in the direct performance of their jobs today that they did 5 years ago or (b) different technology (not just new machines)? 4. If you purchased another business, which would be more valuable to you: (a) the inventory and equipment, or (b) the digital records of their customers: names; contact info, including email; what they buy; when they want it; why they buy it; and how they use it? If you chose (a) for any of these questions, it’s likely your business’s performance is on a declining trajectory. But if you chose the (b) options, congratulations, you get it about IP. Write this on a rock … In the 21st century, leverage intellectual property more and tangible assets less. Write this on a rock – Don’t live a frightened and miserable life. Replace worry with action and performance. Once upon a time, consumers enjoyed what I call The Golden Age of Customer Service. Alas, based on current research, we now appear to be in the Plastic Age of Customer Unservice. The most recent American Customer Satisfaction Index revealed three sad facts: 1) a steady satisfaction decline in the past year; 2) the lowest level of satisfaction in almost a decade; and 3) the current level is lower than 25 years ago. So why has such a level of unservice become so sustainable? Because customers are sensitized to what I call the Plastic Triplets: High volume, low price and poor service. For small businesses, the Plastic Triplets represent both opportunity and danger. But seizing the former while avoiding the latter requires the understanding that rarely do the high volume, low price siblings appear without bringing along their triplet, poor service. The danger of high volume is it’s almost always associated with a price war. This will be on the test: The price war is over and small business lost. And low prices are great for customers, but not for any business from which quality service is expected. how they expect to be treated. Armed with this understanding, all a small business has to do to prove it isn’t plastic is to reverse the order of the triplets and rename them. Meet the Golden Triplets. 1. Excellent service. This is serving customers in a way that’s not only reliable, but also innovative and, most importantly, relevant. When service is excellent, the first thing you may notice is customers act surprised, because remember, humans still want excellent service, they’re just not used to it. 2. Premium prices. This is the mother’s milk of a small business because it delivers success sustaining higher margins. If you’re delivering value and aren’t charging for it, that probably means you’ve joined a price war, and you know what we’ve said about price wars. 3. Targeted volume. As a small business, you not only don’t want to do business with everyone, you can’t. So you have to target only those customers who want more than just price. They want customization, dependability, technical assistance and one more thing: They want you to save them time because, more people are valuing their time more than their money. In the Age of the Customer, the key to sustained success is delivering the Golden Triplets with relevance to just those customers who are willing to pay for the special sauce of your small business. Write this on a rock … Create your own Golden Age of Customer Service – and outrageous success – by staying focused on the Golden Triplets. Since most businesses have been deleveraging post-2008 financial crisis, you could be forgiven for getting rusty at how to ask for a loan from bank. But as the economy picks up and you need growth capital, it’ll be handy to brush up on your banking skills. Last time, I used the customer qualifying process as an analogy for how to work with your banker to get a loan, and offered the first three of six loan request factors: Who makes the decision, what do they need and how do they want it? Now let’s talk about the last three. All banks need to make loans, but all banks don’t like the same kinds of loans. Some banks make working capital loans, and some don’t. Most banks make real estate loans, but each one has its own profile of what kind of real estate they like. And all banks like to loan money for things with serial numbers, like vehicles and equipment. In your first meeting, what the banker says about your proposal should indicate their level of interest in your type of loan. But if not, it’s okay to ask. Banks will fight for loans, but they’ll kill for deposits. Checking account deposits are virtually free money to a bank, a portion of which they use to make loans. They like personal checking accounts, but LOVE business accounts. A bank’s motivation increases with your daily deposits if you place your operating account with them. You should know the value of your deposits to a bank and use that information to negotiate rates and terms. You can tell how motivated a bank is by how helpful the loan officer is. Her excitement is no foreteller of success, just of motivation. But if she seems indifferent or unmotivated, that’s probably not a good sign. A deal that couldn’t get through the front door of Bank A this morning, could be received with a red carpet at Bank B this afternoon. So be prepared to take your proposal to more than one bank. And be sure at least one of the banks you make a loan proposal to is an independent community bank. Bankers love field trips. Give your banker a demonstration of the new equipment the loan is for, or take them to see the real estate you want to buy. Show them how the object of your loan request will help you grow your business, profits and deposits. Understanding how banks make business loans will improve your chances of getting one. 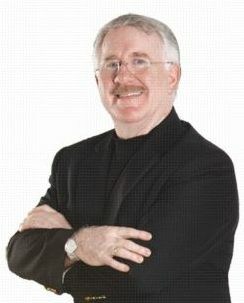 Jim Blasingame is the award-winning host of The Small Business Advocate Show and author of “Three Minutes to Success.” Find Jim online at www.jbsba.com. One of the markers of this post-recession, so-called recovery has been the practice of deleveraging. Across the economy, from consumers to businesses large and small, debt has become something to get rid of. Out here on Main Street, this trend has manifested in a dramatic drop in bank borrowing by small firms. Indeed, for more than a half decade, survey after survey has shown that less than 5% of business owners report their borrowing requirements have not been met, while the majority say emphatically they don’t want or need a loan. Consequently, there’s a pretty good chance your business hasn’t made a loan request to a bank in a while. But the economy will eventually kick into an expansion phase, and what has become no less than a de facto moratorium on borrowing won’t last forever. And since most small business growth capital comes from bank loans, even for well-capitalized firms, it’s always good to revisit a few banking relationship fundamentals. You have the right to ask who is going to make the decision on your loan. Can your loan officer decide, or will it go to the local loan committee or somewhere else? Why do you care? The more people involved in the loan approval process increases the scrutiny of your deal, which means more questions and more time for you to budget from proposal to answer. 2. What do they need? Your banker will ask for personal and business financial information. They might accept last year’s business numbers, but they could also ask for an interim report. Depending on the size of your request and what you’re using the money for, they may ask for a business plan. If the loan is for real estate, a current appraisal will be required. Don’t give the bank more than they ask for, but give them everything they ask for. Remember, the quicker your banker gets the information, the quicker you’ll get an answer. 3. How do they want it? Ask your banker what information can be presented verbally and what needs to be in writing, whether hard copy or electronic. Whether you’re borrowing $5000 for a computer, or $5 million to buy out a competitor, knowing as much as you can about the loan approval process will significantly improve your chances of not only getting a quick answer, but a yes. Next time, Part Two: What motivates your banker. Write this on a rock … Qualify a bank like you do customers, and be sure to do your homework. Once upon a time, a storm caused two ships to sink in the same area. All on board were lost at sea, save one from each ship, and those poor souls were alive only because they swam to a small island nearby. As luck would have it, the two men hauled themselves up on the beach at the same time and within sight of each other. But survivor’s elation soon became pensive as they realized that each spoke a language unknown to the other. In many ways, this tale actually plays out every day. But instead of on the high seas, our story takes place in the marketplace. And instead of mythical shipwreck survivors, our real life players are small business owners and bankers. Like the survivors in the first story, the excitement of the latter-day castaways about their future prospects turns pensive when they both realize that: 1) they need each other in order to be successful; and 2) they don’t speak each other’s language very well, if at all. With so much common interest and so little mutual understanding, can these two create a successful survival story? Absolutely, but only if they have The Blasingame Official Translator for Bankers & Small Business Owners. Here are a few examples of how The Blasingame Translator works. Identify their banker as a success partner and their business’ best friend. Stay close to their banker when things are going well, and even closer when things aren’t going so well. Believe that an uninformed banker is a scared banker, and a scared banker cannot, and will not, behave like a partner. Pay attention to what motivates and impresses a banker, like attention to detail. Understand pertinent bank rules and regulations, so you don’t ask for something that can’t be done. Reward banker loyalty with small business loyalty. Understand Blasingame’s 1st Law of Small Business: Starting a small business is easy, operating a successful one is not. 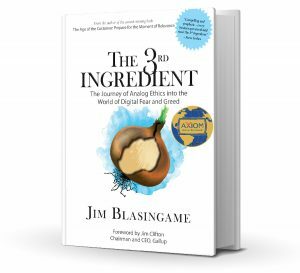 Understand Blasingame’s 3rd Law of Small Business: A small business is not a little big business. Explain bank rules and regulations, and recommend services and products. In the credit scoring process, always find a way to give small business owners credit for character, past performance and best efforts. Reward small business loyalty with banker loyalty. Write this on a rock … To avoid becoming marketplace castaways, small business owners and bankers must speak each other’s language.